Our Idva training courses are for Idvas, domestic abuse practitioners and service managers with a caseload. The course will help you enhance your practical knowledge, helping you provide the best possible support for domestic abuse victims, survivors and their children. The training is supported by relevant specialists from many different fields, including the criminal justice system, family law, child protection, sexual assault referral centres (Sarcs) and housing services. Our four day Idva Expert course is OCN accredited. For those who have already completed a SafeLives Foundation course in a different subject area it will allow them to build towards a Diploma. For those who have completed Women's Aid Certificate in Tackling and Preventing Domestic Abuse or want to develop their practice experience, the course will contribute towards your CPD. 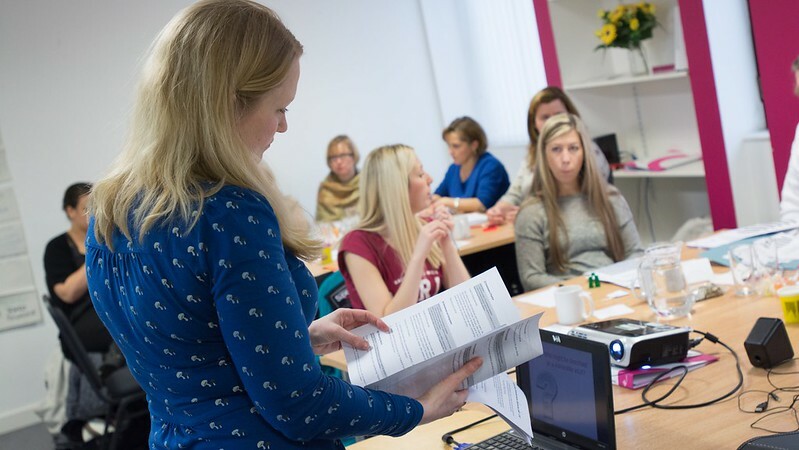 Our Foundation level training is for people who are new to SafeLives training and covers what we consider to be the essential skills for anyone working with people affected by domestic abuse. It also covers the four day Idva Expert content outlined above. Applications for our upcoming Idva foundation courses are currently being processed but there is still time to join the waiting list for our Bristol Idva Foundation course. You can also register your interest in future courses or apply for our upcoming Young People Foundation course. Our Spring 2019 courses are now full. The next cohort of Idva courses will be in Autumn 2019. If you would like to be notified when the next dates are released, please register your interest below. Subsidies: We're pleased to be offering a limited number of subsidised places at £1,950 for charities with an annual income of less than £1 million. These are very limited and will be allocated on a first come, first served basis. Foundation or Expert level - what course is right for me? FAQs including What is the time commitment? We believe that all victims of domestic abuse deserve help to become safe, whatever their level of risk. If you work in outreach, housing or social care, this course is suitable for you. Intimate partner violence in the digital age, 'honour'-based violence and child sexual exploitation. All challenging subjects to talk to an adolescent about. Our training will teach you how.